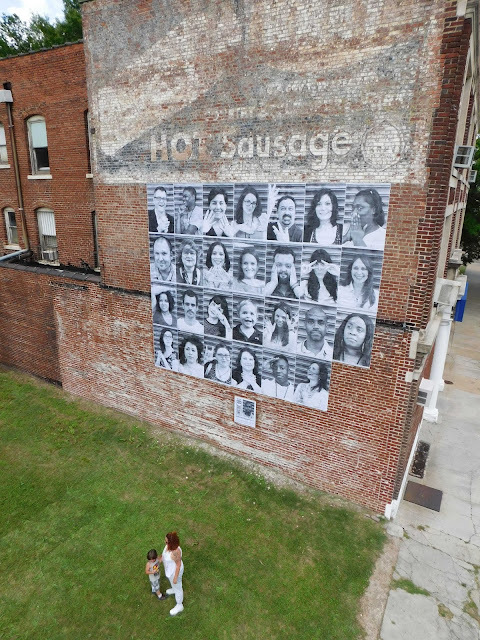 In 2011, when artist JR accepted his TED prize at the TED Conference in Long Beach, Calif., he stated that he wanted to use art to “turn the world inside out.” Thus began the INSIDE OUT project, a participatory global art project transforming images of personal identity into works of art through large-format street “pastings.” Project subjects have brought attention to issues ranging from agriculture to mental illness, and each INSIDE OUT group action around the world is documented, archived and exhibited online. To date, nearly 200,000 people from more than 112 countries and territories have participated. 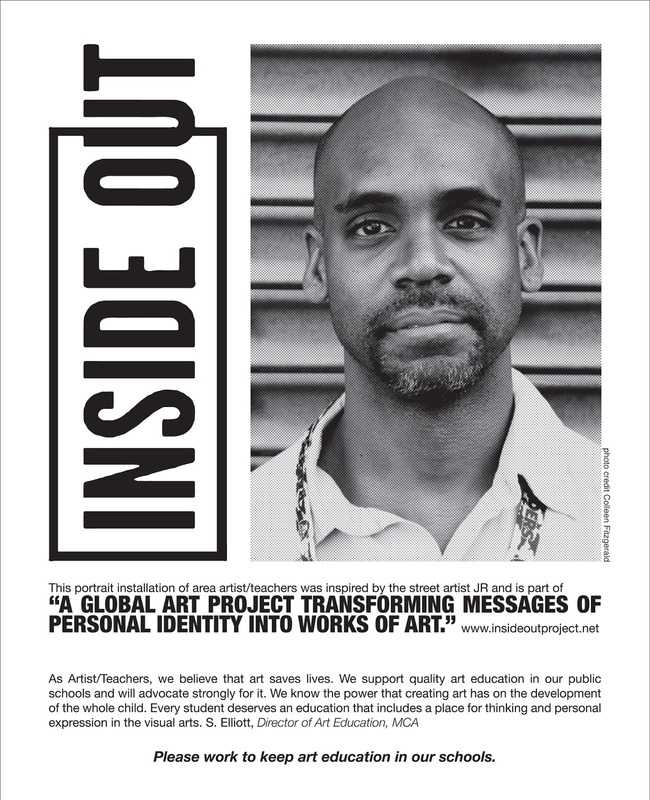 INSIDE OUT comes to Memphis today, as an installation of photos of artists/teachers goes on view at the Masonic Lodge, 154 G.E. Patterson Ave. in the South Main Arts District. The art education advocacy project called “Art Saves Lives” is a collaborative effort with Memphis College of Art and the UrbanArt Commission. MCA Director of Graduate Education Shannon Elliott and the UrbanArt Commission’s Executive Director Lauren Kennedy spearheaded the program with MCA Assistant Professor of Photography Colleen Fitzgerald taking the photographic portraits of the artist/teachers, MCA graduate student Kim Davis designing the layout and local artist Tylur French assisting with the installation. The portrait installation will be on display on the exterior of the Masonic Lodge beginning May 29 and will be documented and uploaded to the INSIDE OUT website. For additional information on the global project, visit www.insideoutproject.net.